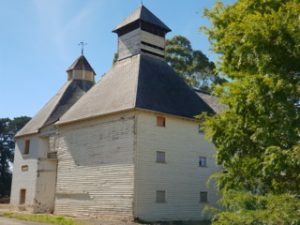 A note from our Friend Robert Percival at Lallemand brewing about an awesome new yeast product they are launching for both Craft Brewers & Home Brewers…. At Lallemand Brewing we are constantly working to provide new innovative and highly demanded brewing products. We are specifically looking for stable and consistent selected strains that will produce quality fermentations time and time again. After years of research, development and testing, we are thrilled to announce the launch of our newest Premium Yeast LalBrew® Köln. Framed within the LalBrew® Premium Yeast product line, LalBrew® Köln has been specifically selected for its ability to produce traditional Kölsch-style beers and other ales. The character of this strain accentuates delicate hop aromas while imparting subtle fruity esters. Through expression of a beta- glucosidase enzyme, Köln can promote biotransformation and accentuate hop flavor and aroma. Colder fermentations will have little impact on flavor and aroma, while warmer fermentations will produce a more fruit-forward ester profile. Once released, LalBrew® Köln will available in 500g and 11g sachets. Several breweries around the world have executed highly successful pilot brewing trials with LalBrew® Köln. The results are overwhelmingly positive and have generated substantial excitement, leading us to believe that this new product will be extremely well-received in the market. 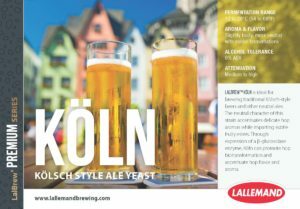 As one of Lallemand Brewing’s premium brewing yeasts, LalBrew® Köln comes with Lallemand’s unmatched technical support and expertise. If you have any questions, doubts or simply want to know more, just visit www.lallemandbrewing.com , give our Irish Distributor Geterbrewed or us a call or contact Lallemand Brewing directly via rpercival@lallemand.com. Geterbrewed have been working on hop blog posts recently to try and provide more knowledge around the use of hops. Many modern day craft brewers are going for the juice bomb affect with loads of late whirlpool hopping, hop stands at different temperatures then huge x amount per litre dry hops, in comparison to that on the opposite side of that parameter our research has showed that many traditional german breweries add 60/70% of their hops at first wort. Some brewers add hops in the mash, first wort, the kettle, the whirlpool and the fermenter, so what works best for you? There is much more to brewing with hops than simply just working out the IBU’s when hops are added, its important to recognise how the hops will affect the finished beer. There is multiple types of alpha acids, the main types that brewers are interested in are: Humulone, Co Hululone and Adhumulone. Alpha acids aren’t really soluble in beer and aren’t bitter whereas iso-alpha acids are intensely bitter, at least four times more bitter than alpha acids. So Iso alpha acids provide bitterness, they stabilise beer foam and they inhibit the growth of bacteria. Hop Scientists have identified that higher percentages of co-humulone produce a harsher bitterness hence the demand for hops with low amounts of co-humulone, this has to be balanced as low level co-humulone hops wouldn’t be efficient in achieving high levels of bitterness. Co-Humulone and Humulone levels vary between 20-50% each in different hop varieties while Adhumulone will be 10-15%. These alpha acids are important for flavour stability in packaged beer. Traditional hopped beers are made up of 68% cis alpha acids (perceived bitterness) and 32% trans alpha acids (these alpha deteriorate much faster) Many factors will affect the degradation of these alpha acids but cold storage of your packaged beer will slow this down greatly. 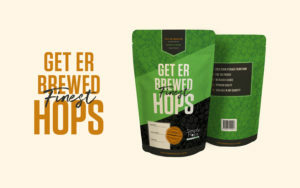 Some brewers are starting to brew with pre isomerised hop extract, Geterbrewed recently started to sell Isohop in 1 litre format for this purpose. This acheives a 55% utilisation as apposed to 30%. Isohop contains a higher % of Cis- Isomers and are in turn more stable. Beta acids generally are not soluble but some research has shown oxidation reactions with beta acids create halipinic acid in the boil and perceived bitterness because of its transformation. Oxidation reactions occur due to hops not being stored correctly . Lots of variables will affect perceived bitterness levels in beer for eg some malts will add bitterness like roasted malt. It can be said that been brewed with more calcium sulphate in the water will be recognised on the taste as having a crisper hop character while those beers higher in calcium carbonate exhibit a harsher bitterness. The temperature a beer is served at may highlight or suppress the bitterness, with colder temperatures being the suppressant. The level of polyphenols also affects the perception of bitterness. IBU utilisation is complex to measure and results from different locations will vary greatly depending on what formula you use to calculate. Tinseth formula would be the most popular. IBU categorisation was created to help brewers brew a beer with a consistent bitterness level. So how do they measure this? By acidifying and extracting a sample of beer with iso-octane, then take an absorbance reading at a specific wavelength with ultra violet light, this is a high tec lab test not one we as brewers can routinely carryout in the brewhouse. The home-brew community use calculators like Brewersfriend to work out IBU’S. Hop utilisation equals the quantity of iso alpha acids found in finished beer. Brewers can expect to lose about 50% of iso alpha acids on the hot side and a further 20% during fermentation and packaging. Different hops require different boiling times, experimentation with blending hop varieties and splitting the addition times are best practice in our opinion to build layers of hop flavour into your beer. Longer post boil stands will result in more hop flavour, aroma and perceived bitterness. 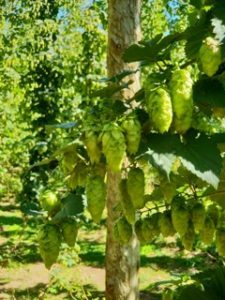 What is a Hop used for in brewing? Generally hops added at the start of the boil are to achieve bitterness, hops in the middle of the boil are for flavour and hops at the end of the boil are for aroma. Hops cones are the particular part of the plant that brewers want. Specifically the Lupulin glands which contain hard and soft resins, oils and polyphenols. The Soft Resins contain alpha acids and beta acids, brewers use the alpha acid rating to indicate the level of bitterness. You will hear the term isomerised alpha acids, you see alpha acids only become isomerised as a result of boiling the hops in the wort. Hop oils produce the aroma and flavour of beer, its not just about the amount of hop oils but about the composition of the hop oils. To be very technical we can use gas chromatography to examine the composition of hop oils. 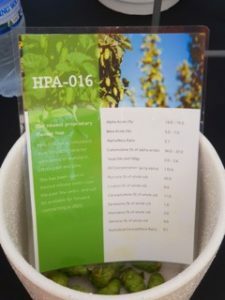 Hop aroma will change, for example what we experienced recently at the 2019 Hop harvest was a very different aroma in the hop field compared to the aroma in the kiln and again different during the brewing process. Hop oils aromas and flavours can be categorised into a wide range of sensory spectrums for eg floral, citrus, fruity and woody. Hop Oils make up 4% of the hop cone, there is a differing range of hydrocarbons from 50-80% and a range of oxygenated hydrocarbons from 20-50% and finally less than 1% sulphur compounds. Hydrocarbons are highly volatile, not very soluble and only impact the beer when added late in the boil or as a dry hop. Brewers have been know to add more of a specific hop variety to achieve that desired aroma profile when in fact the solution maybe to actually add a little less to allow that aroma to shine through. A strange comment you may think as Geterbrewed should be wanting to sell more hops but sometimes less is more. Hop aroma can make you feel relaxed! Yes its a scientific fact but what is exciting for brewers when they brew with different hop varieties is that when paired with other hops the physical interactions and biotransformations with different yeast strains can create something truly impressive. You know that beer that just blows your mind, those hops that just work in harmony together. In summary hops are used to determine the bitterness, flavour and contribute to the aroma of a beer and they play an important role in naturally preserving the beer. Homebrewing Beer can be as simple or as complicated as you want to make it. Modern day homebrew beer kits and equipment can allow you to not only be frugal but you can brew better beer than shop bought. If you are a craftbeer fan you can attempt to clone your favourite beer or be adventurous and create some truly unique beer. If you decide to start homebrewing beer and you choose to start with a basic homebrew beer kit the equipment will always be useful for all levels of brewing beer. If you try a isomerised beer kit you can still create great beers. An isomerised extract kit is usually a pouch or can of liquid malt that has isomerised hop solution in it. You are basically rehydrating the liquid malt extract and adding the yeast and fermenting the beer. Some modern beer kits also have dry hop additions that you add directly to the fermenter this creates a nice hoppy aroma. Extract brewing also includes brewing with liquid malt but it’s a little more hands on and you need a little more equipment but household pots etc can be used to help you create a wort with steeping grains. 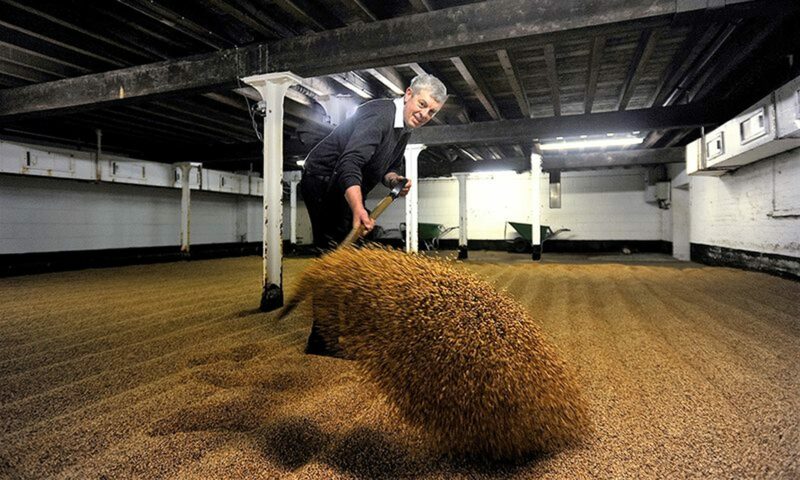 This steeping grain or quantity of malt will bring more freshness and body to the beer. Once you create the wort by adding the steeping grains (grains/malt in a muslin/nylon bag) to warm water you add the liquid malt. The steeping grains are added to warm water in extract brewing for e.g. 67 degrees as it converts the starches in the malt to fermentable sugars which is also known as sugary wort. The lower mashing temperatures with steeping grains will create a dryer beer and higher temperatures of say 69 will produce a sweeter beer. What is critical to successful brewing of beer no matter what type of beer kit you choose is cleanliness and temperature control. Having all equipment sterilized and maintaining a constant fermentation temperature for the yeast will make for the best brewed beer. We have been having a flurry of new Brewiks systems being ordered and installed in the last few weeks. Last week we delivered a new Brewiks 200 to Halewoods in Liverpool, this week we had a Brewiks 300 dispatched and on it’s way to Holywood in County Down for a new start up called Modest Brewery and we have just installed a new Brewiks 200 system in Derry County Londonderry for a new brewery called Rough Brothers. Geterbrewed are passionate about building long-term relationships with their customers. We own our own brewery so we fully understand what it takes to set up and run a commercial brewery. Equally we also understand the scale of the investment and we really do appreciate it when brewers choose to work with us and the Brewiks team. What I love about Brewiks is that it is a true “plug & brew” system and it can be pushed to produce some serious volumes of beer. The build quality is first class, hand built in Slovenia with an experienced team. When you start a craft brewery you need to be able to consistently produce a quality beer, you have to be able to rely on your equipment to produce the best beer you can make. Brewiks microbrewery set ups are the perfect option for small scale start up breweries and brewpubs. We can then build adapt and grow with you as you use your revenue to expand. If you are a Brewiks customer, we talk about you becoming part of the Brewiks family, that’s a great asset to have, need a spare part quickly to continue production, we have it. Need technical support we provide it free of charge, need access to the most after hops in the brewing industry we have them. We give all our Brewiks customers the highest discounts on ingredients as we want you to succeed. We will spend time training you on how to use your system so you can brew with confidence. If your interested in starting a small microbrewery or brewpub then come and spend sometime brewing on one of our machines, you will see first hand why Brewiks are the best option . Yes you read that statement right, they are one of a kind! Great beers brewed on site and a cracking restaurant all under one roof. What amazes me is the people and staff behind it, they are passionate and love what they do, invested in making it a success. The brewpub opened in 2015 with a 200 litre microbrewery supplied by Geterbrewed. The Ebrington army barracks repurposed, the brewpub faces out onto the old ebrington parade square and on the other side is the peace bridge which links you to the city and its a great walk, we took a wander over for a pint in the Guildhall Tap Room. 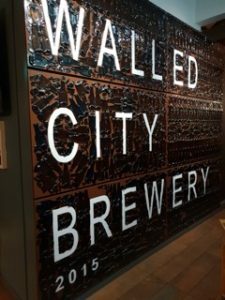 I recently visited Walled City Brewery for a food pairing evening and I was really impressed with the buzz in the area. James and his team could have done what everyone does and took a tap tie from one of the Macro brands but he remained fiercly independent and earned his place as a successful established business the hard way. The Walled City Team produce a range of their own beers on site and they have a kitchen using local produce and knocking out some beautifully tasty meals. The chef Mike popped out to walk around the tables and check how we found our meal. Stephanie did a little talk on a cocktail she created and just casually described a cocktail she created with a local Gin “Frankie & Eileens Distillery” and a New England IPA brewed on site. She drops into the conversation that the garnish was gorseflower she picked while walking her dog earlier. Describing the beer how it was brewed and how she felt the ingredients complimented each other all topped off with a gorse flower garnish to add a little coconut note. The cocktail was beautifully refreshing. The beers on tap had a wide variety of styles and I can easily say they have something for everyone. The food was equally impressive so the combination of craftbeer, craft spirits, locally sourced food and passionate and knowledgeable staff makes it a winner for me. You can see the brewery as it’s positioned at the bottom of the restaurant this adds to the altogether genuine feel and experience. They also run a homebrew academy which we love as they are actively promoting the hobby. I’m hoping to see the Ebrington square developed further and highly recommend you check this brewpub out. There is a vibrant buzz about Derry City and it was great to walk around the local bars and see local breweries starting to get some tap space. How long do hops last for? 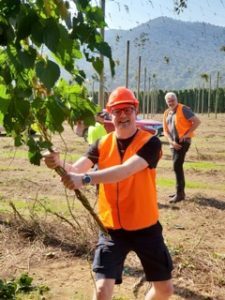 Growing and harvesting conditions can affect the final outcome of the quality of the hops so the latest harvest may have been a poor yielding year and the previous harvest maybe the better option. The previous harvest will only be a better option however if the hops have been stored correctly. So how do you store hops correctly and how long will they last? The above key points are highly relevant but will affect each variety slightly differently. Geterbrewed have invested in cold storage to ensure all our hops are stored below 4 degrees. Correct cold chain storage from the hop farm to our cold storage warehouse is time consuming to do correctly so the latest harvest may take a little longer to arrive but its good to know the reason is we want you to receive simply the best hops in the brewing industry. Sending hops in a refrigerated container is also much more expensive but again it preserves freshness. We want to provide the finest hops to our craft brewers and home brewers so we have set a clear focus on handling the hops correctly. Geterbrewed recommend that when you receive your hops you store them in a fridge below 5 degrees. Hops exposed to high temperatures will degrade fast resulting in substantial losses of alpha- and beta-acids, the higher the temperature the more the hops will degrade with degradation doubling every 15 degrees. When we have visited hop farmers during harvest we have noted when they cut the bottom of the bines they have a maximum time limit of 2 hours to get the hops picked and into the processing plant as the sunlight will degrade the hops. The foil packaging we use prevents UV rays, vapours and moisture getting into the hop package so they are preserved for ultimate freshness, we also nitrogen flush and vac seal the foil packages. Oxidised hops aren’t pleasant and can cause cheesy off flavours in your beer, we mitigate this with our handling and packaging and storage methods. Hop Flower or Hop Leaf degrade and oxidise much quicker than hop pellets. We have recently ordered new foil packaging that has a resealable ziplock, these new hop packs will start to roll out at the end of the month, ideally if your resealing it should be carried out with a vac sealer but if you squeeze out the air and use the ziplock and place back into cold storage this would help preserve the hops and slow down the ageing process. We are passionate about providing the best hops in the brewing industry, this is only achieved by handling and storing the hops correctly, we hope you appreciate the time and effort this takes but most of all we hope you notice a marked difference in the quality of our hops. We have never visited anywhere before and thought we can see ourselves living there until we visited Hobart in Tasmania, it was beautiful and we loved every minute of it, in life we are passionate about our industry and these experiences make working in the craftbeer industry like we are genuinely living the dream. 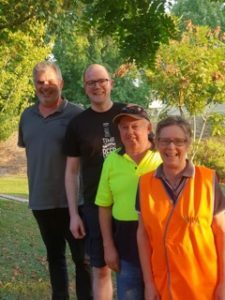 We got picked up at the Hotel by Owen Johnston from HPA, he’s a legend in the Australian Beer Scene and a great laugh to spend time with, a short journey to busy Park Estates saw the “hopporn” continue. Owen was a very knowledgeable host and I tried my best to document his informative tour, Bushy Park boosts many natural environmental attributes, they have the necessary cold winters where the soil is -1 for at least 3 to 4 days to ensure it starts the proper dormancy period for the hops balanced with the right length of daylight hours in summer. Owen explained that in 2007/8 the make-up of the harvest was approximately 90% alpha to 10% aroma and currently it’s less that 8% alpha (for domestic use only) and 92% plus modern aroma made up of their 5 proprietary blends. 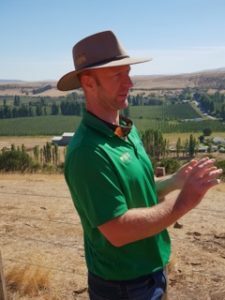 The US hop market moved away from Alpha market which has pushed Europe to increase Alpha which has knocked on an unprecedented change of variety in the field in Australia. 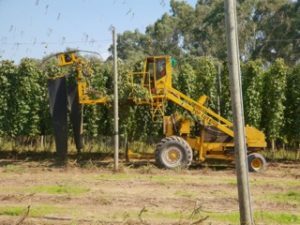 Fast forward to 1987/8-1992/3 this saw the hop farms that were owned by ‘Big Beer’ be bought back by Barth Haas and the European and American sides of the business gave a route to market for Hop Products Australia (HPA). At this stage it was 40% domestic and 60% export half of which went to America. When Big Beer (CUB & Lion Group) owned the hop farms they grew just what they wanted. When HPA took over it changed to “Choice & Variety” and this became the mandate of Craft and HPA’s role was to help craftbrewers create diverse and interesting beers, which takes us to modern times and their five proprietary blends focus on aroma and are the most sought after hop varieties in the globe right now. Joined during the tour by Tim Lord MD of HPA, a real gentleman and great host. 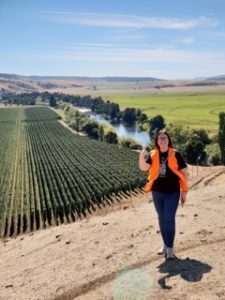 We looked over the valley of a recent addition of 20 hectares of Galaxy and then enjoyed a BBQ in the hop breeding gardens having a rub, sniff and a few beers and soaked up this incredible experience. Grace treated us to an feast of of food and ice cold beers, it was delicious. One hop that stood out in the breeding garden was HPA 016, there is currently 10 Hectares in the ground and the stand out aroma was delicious fruit forward character with Mandarin, citrus peel and pine, talk to us about forward contracting this!! HPA Bushy Park manage all their own propagation which puts them in a strong position if replanting was required and this will also allow them to assist with propagation for the Victoria Expansion. Getting in amongst the hop breeding garden allowed us to see what varieties are coming through and get an understanding of how the process of creating new hops works, it’s a very lengthy process and cannot be rushed. I noticed Pollen bags on the bines and it was explained that they use this process to stop flowers being wind pollenated so they ‘Shake and Bake’ which creates the pairing they want. Once we enjoyed lunch we moved onto the processing plant and again it was meticulous clean showcasing the World’s Best Practice, focusing on getting the hops pelletised and into foil and packaged stable. HPA have full traceability from Lot number back to the field, Geterbrewed are committed to maintaining this level of quality to the end brewer. We have just returned home from a trip to visit Hop Products Australia, they produce 90% of the hops that come out of Australia, they are the sister company of Simply Hops who we exclusively distribute hops for in Ireland. I have to say this was an amazing experience, as the Irish Brewers that work with us know we are a family business and to leave our girls to fly to the other side of the world to buy hops was a big ask and tricky to manage but I’m so glad Deborah and I got to experience this. Long Haul flights, jetlag and excitement mixed with a few drinks, great company and every emotion you can imagine made for an eventful journey to see the hop harvest. Arriving into Melbourne at 6am tired and emotional the only thing to do was to try and stay awake, so we went for a walk about in the city, its great place to go for a dander and living up to the Irish Reputation we gravitated towards a few bars in the early afternoon. As Simon from Gipsy Hill Brewery said by late evening we were bumping into each other and laughing like little drunk babies, innocent vulnerable and generally loving life. The brewing industry allows me to meet some interesting people and enjoy some amazing experiences. 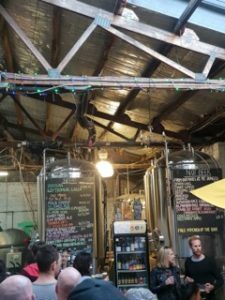 We spent two days travelling around Melbourne visiting some brilliant breweries, standout was Stomping Ground Brewery, we had a great meal in their beerhall and the venue is beautifully presented. We enjoyed a fresh ‘Gipps Street’ Pale Ale straight off the canning line and a personal tour by Ashur the head brewer. We were joined by Dave Edney from HPA , he’s a legend in Australian beer, name dropping done and shamelessly too, he took us to a few local breweries for more tours and yes more beers, we did drink responsibily of course. 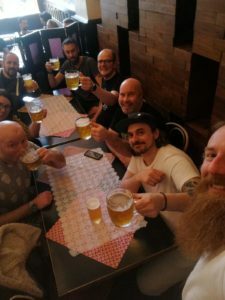 Michael Capaldo fom HPA joined us for a few beers and a bite to eat that evening, he’s a another legend in the Australian brewing scene, hoping he visits Ireland soon as his wife is originally from here and we can introduce some of our Irish brewers to this guy. 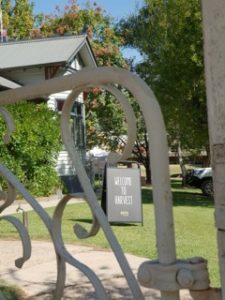 The bus journey from Melbourne to Rostrevor saw us take a pit stop at a vineyard for a tasty lunch and a cheeky glass of red wine before arriving at the first HPA farm in Rostrevor. What a beautiful location for a Hop Farm and a warm welcome from Allan & Gail the husband and wife team who manage the farm. Initial impressions are that the place is immaculate. 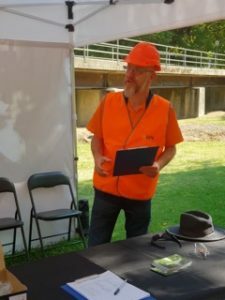 Dave Edney did the safety induction and got us kitted out in our trendy Day Glows and Hard hats and off we went like a bunch of school kids with a belly full of skittles. 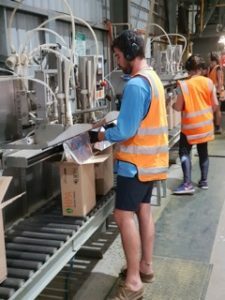 Precise attention to detail and professional quality control was a theme understood from the off, we cleaned our shoes as Australian Hop Farms don’t suffer from many of the diseases experiences elsewhere in the world. 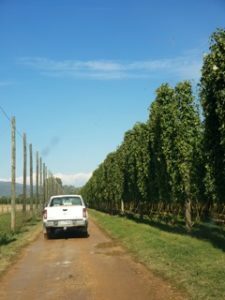 I love hops, this was an awesome experience, not the first hop farm that Deborah and I have visited but to walk into the hop field and witness in live time the most sought after hop in the hop industry being harvested was a special moment for us. There is a nice buzz around the harvest, large numbers on site , say 130 people or so, just so you have an idea hop farming costs sit at roughly 50% of the costs going into labour, if you weren’t aware every hop bine is hand trained so it grows up the bines. We spoke with a few of the workers literally living the dream, hop farming to generate cash to travel the world. Warm friendly and genuinely nice people. Strangely I met a guy from Wexford working in the Galaxy Hop Pellet Packaging line and had a great little chin wag, he’s been working on the farm for over 2 years and loves it! Galaxy Hops are in huge demand so it’s important for you to understand why they don’t just grow more and more of it. The harvest window is small and the processing facility can only process at a certain rate . The Rostrevor farm has a total growing land of 307 Hectares , with a recent new addition of a further 50 hectares near the Buffalo river . 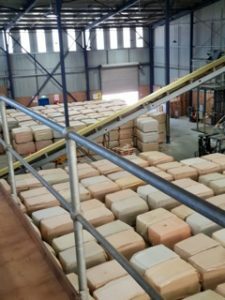 So it has taken huge investment to grow this and we heard first-hand the plans to take it up to 600 Hectares in the next 4 years, so the processing facility is being doubled and thus allowing the volumes to grow without affecting the quality. The unique thing about the HPA Rostrevor Hop Farm is that the hops are pelletised on site as they come off the hop kiln. I’ve visited many hop farms and never seen this focus on freshness at this level. Usually hops come out of the kiln and get baled for storage and then onwardly transported to a hop pelleting plant, sometimes there can months of delay, HPA Rostrevor are pelletizing on site instantly and then sending straight to cold storage. We saw the pelletizing first hand and it was exciting to see the difference. I also noticed they have built a cold room around the pelletizing hammer to ensure the pelletizing process is maintaining all the essential oils and volatiles. Foil vac packed with nitrogen flushing and then into cold storage. Simply the freshest and finest hops in the brewing industry. 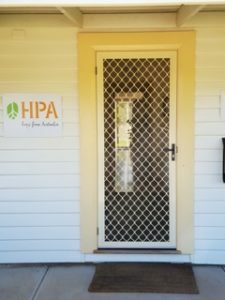 Hop Products Australia (HPA) put a shelf life of 3 years of their hops but if stored correctly and handled properly they will be fine to use even longer. I spoke personally with the quality control manager Peter Hamilton on this specific issue as we have brewers that always want the latest harvest. He explained that their process combined with cold chain storage would mean they can guarantee premium quality for 3 years. We work exclusively with Simply Hops for this very reason, cold chain storage is more time consuming and more expensive but the quality is exceptional. We maintain these processes at Geterbrewed maintaining all our hops below 4 degrees, this experience visiting Australian hop farms made our investment in cold storage facilities easy to justify to ensure our Irish brewers receive the finest hops in the industry. Allan explained that this was his 46th harvest, a friendly gentle character who clearly still loved what he did. Willing and eager to share information as I bounced many questions off him as we walked around the hop farm. He runs this hop farm to an exceptionally high standard. How do I tell the story of the focus on their quality control? I feel it’s difficult to do it justice, the whole farm is immaculate , we had to put shoe covers on to walk into the hop processing areas, the processes in place all working in harmony to produce the product to as close to perfection as they can. We picked a fresh hop from the Vic Secret Hop Paddock and dropped it into a glass of beer, the hop oils observed moving through the beer were visually hypnotic, the aroma was beautiful and the hop flavor was something I have never experienced before. This is the very reason HPA hops are selling out , if you want to blow peoples mind with a hop forward beer you need to get some Aussie hops into the brew. We enjoyed one of the most refreshing beers of the trip at the end of this Hop Farm Tour, casually chatting to Peter he drops in he was responsible for the pairing of Galaxy’s parents, I reckon that makes his a rockstar in the craftbeer world!! The Craft Beer Scene in Northern Ireland – Support your local brewery!! In a word, the craft beer movement seeing huge growth in other parts of the world is being suppressed in the North of Ireland by the Macro beer brands, the craft beer market is being prohibited from growing because of anti competitive tactics which leads to lack of support from the on trade market. Combine the anti competitive tactics with the current out of date licensing laws our craft breweries really need support from the public to grow and survive and our politicians need to start lobbying for change of the licensing laws to help the small craft producers sell direct. The main problem is anti competitive practices from the big drinks distribution guys, our own brewery was hit with such tactics recently. We brewed a beer specifically for a large hotel and they stopped buying from us so we sought clarification on what was happening, they advised us that they had been given 350k over a ten year period not to allow other breweries in that they didn’t represent. This is the first time we experienced this with a bottle contract, we had never seen that type of activity before, usually you can expect it to be just in relation to draft beer lines. In simple terms Macro beer brands can buy the rights (not lawfully btw) to have just their beer pouring in bars, restaurants and hotels, some craft brewers simply wouldn’t have the ability to compete with such deals so their growth is suppressed. Another major problem is licensing laws, now NI is isolated with out of date legislation, the South of Ireland recently changed their laws with a successful Craft Drinks Bill and the UK breweries can sell direct, they can open tap rooms they can generate a revenue from direct drinks sales but NI can’t without approaching a bar to get the use of their occasion licence and making an application to the court. The lack of a sitting assembly at Stormont means any work that had previously been achieved with craft producers and MLA’s working on a change in law will have to start again IF they ever get back to actually legislating. What is shocking is that political parties in NI don’t currently even acknowledge correspondence in relation to this. Another issue is that NI craft brewers need volume sales to survive, the margins in Craft Beer are small and with the suppressed local craft beer market the consumption rate is low so they need to look at supermarkets or exports, now we have the impeding circus show that is Brexit looming without any guidance to how the local craft brewing business community is being affected plus the catch with supermarket sales means most independent off sales will abandon them as they say they won’t stock breweries that are in supermarkets yet they still stock macro beer that is in the supermarket, that itself doesn’t seem fair really, again a different rule for macro beer. Export is what is helping NI breweries grow , the consumption rate of craft beer in Northern Ireland isn’t large enough to support the amount of brewers. There is few breweries in NI that work fulltime brewing without some form of supplementary income for eg our main business is selling ingredients to brewers but we do co own a local brewery. Those that are working full time are really making the effort to push their brand as its the most difficult place to open and operate a brewery. We have some incredibly talented brewers in Ireland and Irish craft beer is respected on the world stage. Export markets are competitive , the margins are low but if you can achieve some decent volume then it can create revenue to allow the brewery to grow that growth leads to larger scale which in turn brings efficiencies and savings. Direct sales from the brewery is what is really needed, taprooms across England for eg are selling their beer on draft direct for say £4 per pint, 95% of what they are brewing is being sold onsite, this is allowing them a consistent and sustainable revenue stream. I have visited some of these tap rooms and they have become the hub of the community in some small country villages. So why don’t more NI brewers open tap rooms? Some do and make use of occasion licences in their breweries and I love what they are doing here…. Checkout Boundary, Lacada and now Knockout doing this. Location is key too, if your brewery is based in the countryside for eg that might not be practical. So if we look at premises in major towns and cities they have prohibitive rent and rates and if you want to buy a licensed premises they are crazy expensive. We looked recently at a licence that became available in Randalstown and the asking price was 200k, with the current licensing laws no new licences can be issued so if you own a licence its worth money. This is written to help create awareness of what challenges local brewers have here, yes we co-own a brewery ourselves but our main business is supplying brewing ingredients, we want all local breweries to be supported, we are passionate about this industry and as a small family business we have built relationships with the brewers we supply we know how hard they work, we know they can make awesome beer we just want you to see how much they need a little help. If we could get the licence laws changed and more taprooms opened these are the places i’d like to spend my sparetime, please challenge your local bars and off sales to make an effort to support your local brewery, or as many local breweries as possible, this will greatly help the craft beer movement. Does your local MLA know we need these laws changed, the more constituents asking the more chance for change, just saying, we genuinely appreciate your help with supporting local brewers.